Unless you grew up with it, you may be surprised the first time you eat a slice of caramel cake. At least I was. With a name like that, I expected a cake filled with surprise pockets of caramel inside the cake crumb, or at least flecks dotted throughout like a rainbow sprinkle birthday cake, but better. But with any true Southern caramel cake, the cake itself isn't really the point. The point is, of course, the caramel frosting, which can be either chewy and toffee-like, or slightly granular and fudgy, depending on the baker. Either way, the frosting is a triumph of culinary skill, a challenging recipe to master and the point of many a home cook's dessert downfall. The cake inside is today, often, made from yellow cake mix, a shortcut in a recipe that allows for no other shortcuts, a shame, sure, but it's an understandable one. 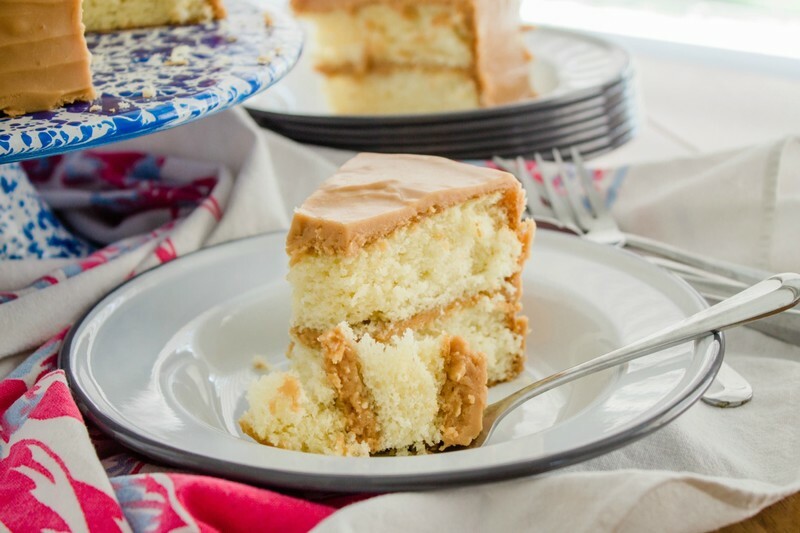 According to Anne Byrn, Southern Kitchen contributor and author of the book "American Cake," the caramel cake is especially beloved in the Mississippi Delta, which is rich in sugar cane but devoid of fruit trees. 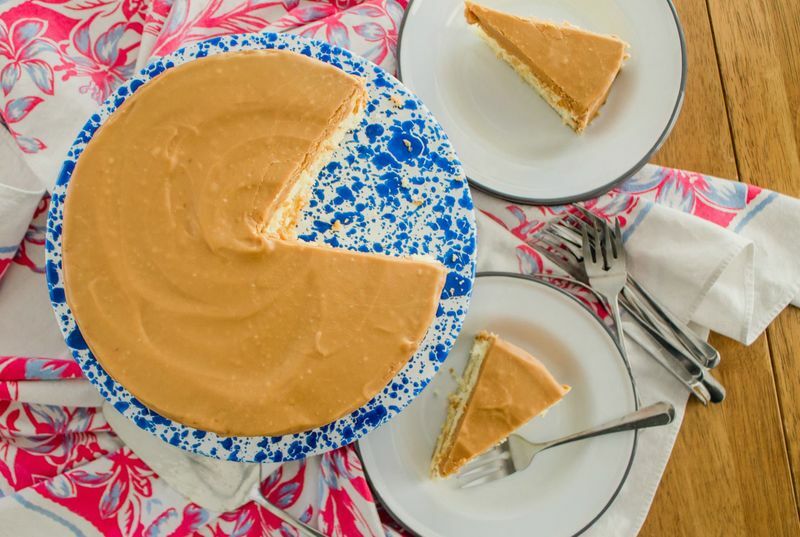 Once assembled, a classic caramel cake can withstand the region's stifling humidity without weeping; it will "sit there majestically, like some great god of Delta cooking, a shrine to the hard work that went into the cake," Byrn wrote. With this shrine-standard in mind, I decided that it wouldn't be worth making a caramel cake if I didn't make it totally from scratch, the hard way. After a little poking and prodding around in my cookbook collection, and on Google, I learned that there isn't really a standard cake recipe to use. Southern Living says that the most traditional caramel cakes are made with what is called a "hot milk sponge cake," and while I couldn't find any other evidence for this statement, I decided to run with it. From what I can tell, hot milk sponge is similar to a genoise, which is a sponge cake with additional fat incorporated, most often butter. Hot milk sponge gets — surprise! — hot milk in addition to butter, and it is leavened with baking powder in addition to the power of whipped eggs. 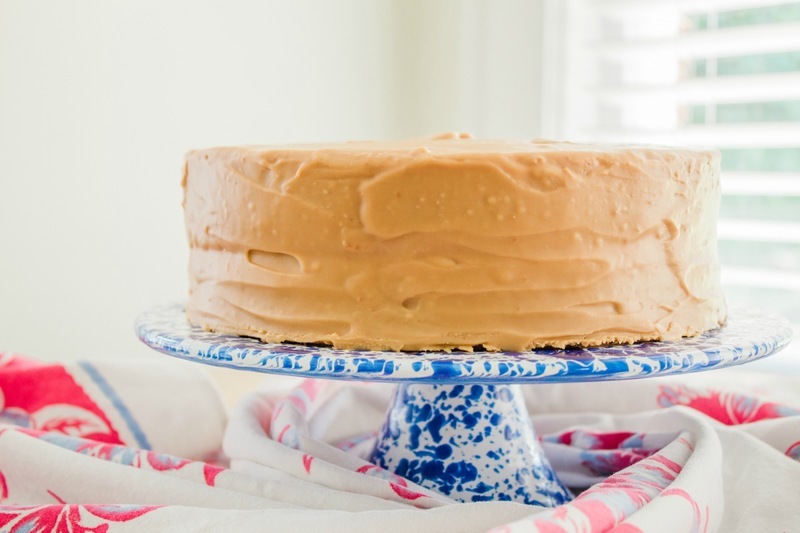 It is, in other words, fairly easy to pull off, and is a sturdy and neutral vanilla cake — perfect for caramel icing. I lightly adapted Byrn's recipe for the cake, baking it in two 9-inch pans instead of three, anticipating an easier assembly with fewer layers. To find the perfect frosting, I spent far too much time reading various food bloggers and cookbooks, looking for the definitive caramel frosting. Spoiler: there isn't one. One blogger, Southern Boy Dishes, said that he had cracked the code on his grandmother's recipe, but when I tried it, I wasn't impressed with the final, ultra-sticky result. Sure, his candy-like frosting tasted good, but I struggled to keep it from scorching and found it nigh-on impossible to actually finish frosting the cake before the frosting became impossibly hard. Instead, I looked toward the more fudge-like variety of frosting and found a winner in a recipe from Kathleen Purvis, of the Charlotte Observer. Hers is an adaptation of her aunt's recipe; she added in directions for using modern conveniences, such as candy thermometers and stand mixers, which I wholly support. She also pointed out that the traditional cookware used to make caramel, a cast iron skillet, adds an entirely unnecessary level of difficulty to the recipe — so much of caramel-making is visual, so you'll want to use a light-colored pan to make it. It's basically impossible to judge a properly cooked caramel (at least by sight) in dark cast iron. I ended up fiddling slightly with Purvis' recipe; I added more salt and really honed in on the cooking times for the caramel mixture. I also have never found it problematic to stir dry caramel (those made entirely from sugar), so I encourage you to stir as needed to make sure it cooks evenly. When it comes time to frost the cake, make sure you're set up and ready to go before the frosting is finished. 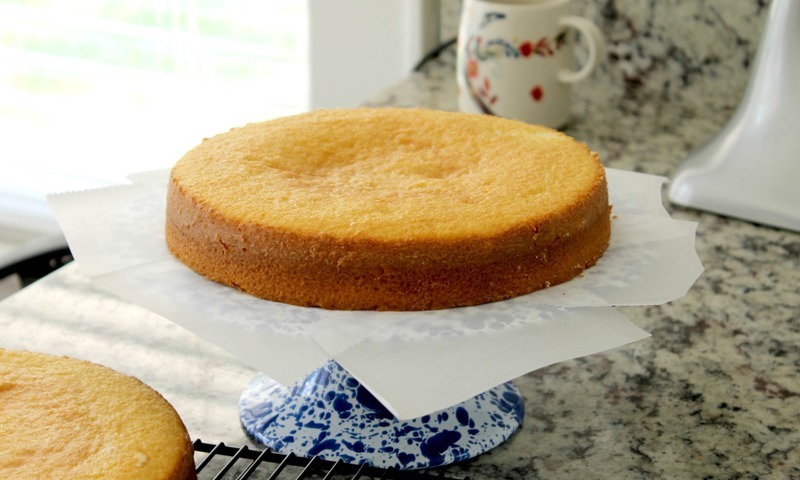 Pull out your spatulas and line your cake stand with parchment paper. Get your cooled cakes at the ready before beating the frosting. Once it just reaches a spreadable form, get to work. You'll need to work quickly, but you can make it happen. And no matter what shape the cake takes, it'll still taste better than anything made from a mix. To make the cake: Heat the oven to 350 degrees. Grease two 9-inch cake pans with butter, then line the bottom with a parchment paper round. Grease the parchment, then lightly flour the parchment and sides of the pan. Tap out any excess. In a medium bowl, whisk together 2 cups of the flour with the baking powder and salt. In the bowl of a stand mixer fitted with the whisk attachment, beat the eggs and sugar on high speed until very light in color and lightly foamy, 3 to 5 minutes. While the egg mixture is beating, combine the milk and butter in a small saucepan. Place over medium heat to melt the butter. When the egg mixture is fully beaten, remove the whisk attachment and replace it with the paddle attachment. Add the flour mixture, all at once, and mix on low speed until about halfway incorporated, 15 to 20 seconds. Increase the heat under the milk mixture to medium-high and bring the mixture to a simmer. Immediately remove from the heat. Turn the mixer to medium-low and slowly pour in the hot milk mixture, followed by the vanilla and the remaining tablespoon flour. Continue to mix just until incorporated, 10 to 15 more seconds. The batter will be fairly runny, but it should have a lush, aerated texture. Divide the batter evenly between the two cake pans and bake, rotating the pans halfway through, until golden brown and a toothpick inserted in the center comes out clean, about 25 minutes. Let cakes cool in the pan for 10 to 15 minutes. Gently flip the cakes out of the pan, remove the parchment paper, and then flip again so they are right side-up. Let cool completely before beginning the frosting. To make the frosting: In a tall pot or saucepan, combine 3 cups of the sugar with the milk. Place over medium-high and bring to a simmer, stirring to melt the sugar, about 5 minutes. Reduce the heat to very low and keep warm. In a small saucepan, preferably made from stainless steel or another light color, spread the remaining 1/2 cup sugar in an even layer. Place over medium-low heat and cook, stirring as needed, until the sugar has melted and turned a deep amber color, 10 to 12 minutes. Immediately pour into the warm milk mixture. The mixture will bubble violently; this is okay. Meanwhile, if you haven't done so, clean the stand mixer bowl and the paddle attachment. Dry very thoroughly. Get your frosting area set up: Place about 1/2 teaspoon of hot caramel in the center a cake stand or other platter. Top with one cake layer, right side-up. Slide pieces of parchment or wax paper under the cake to catch any icing drips. Pull out an offset spatula if you've got it. Transfer the warm caramel to the stand mixer and beat on medium-high speed until the caramel begins to lose its shine and starts to look slightly grainy and lightened in color, 12 to 15 minutes. Immediately pour about one third of the frosting onto the bottom cake layer. Spread evenly and top with the second cake layer, bottom side-up. Pour about half of the remaining frosting on top and spread evenly. Working quickly, frost the sides of the cake with the remaining caramel, adding decorative swirls if desired. Let sit for at least a few minutes to set before removing the parchment paper and serving. The caramel cake will keep for up to 3 days, covered, at room temperature.